Photo from previous meet and greet which was held at Union Station. 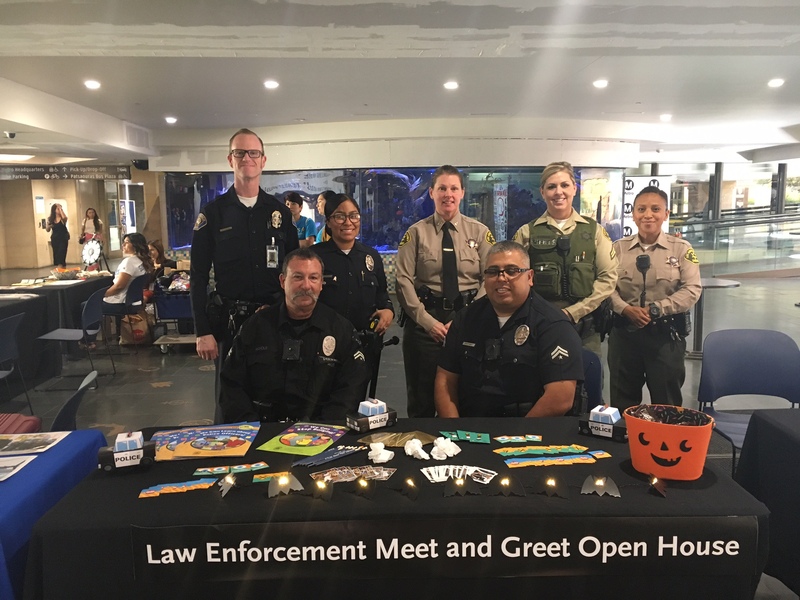 Metro will be hosting a law enforcement meet and greet at Willowbrook/Rosa Parks Station this Friday, Dec. 8 from 7 a.m. to 9 a.m.
Stop by and get to know the officers who patrol our system; there will be tables for Long Beach Police Department, Los Angeles Police Department, Los Angeles County Sheriff’s Department and Metro Transit Security. Metro Community Education will also be participating in the event by providing safety information, user guides and other fun prizes.